Being an avid Instagram user, one needs to know the best tricks to create attractive and funny photos and videos. Learning how to zoom in Instagram Stories will add so much drama and oomph to your boring and not so appealing videos. 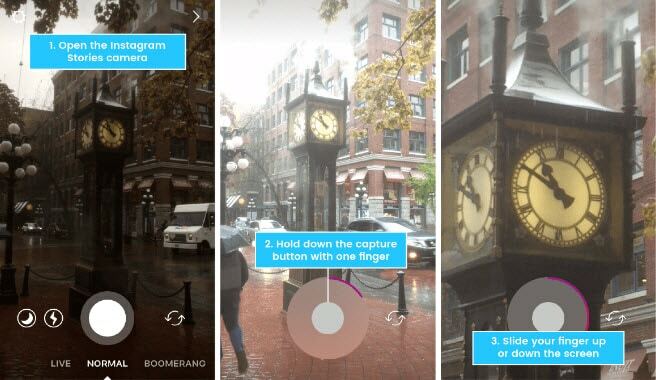 Boomerang is not the only sensational feature from Instagram. The 'Superzoom' camera format for Instagram Stories is creating more weaves nowadays. You can zoom in the videos with interesting sound effects, without much effort. All that you need to do is tap the record button for 3-seconds or longer and you are done. Here, in this article we are going to introduce you various other methods of zooming in/out in Instagram Stories. Stay tuned to know. You can zoom in/out while clicking a picture for Instagram Stories, by pinching the screen in 'Normal' mode. 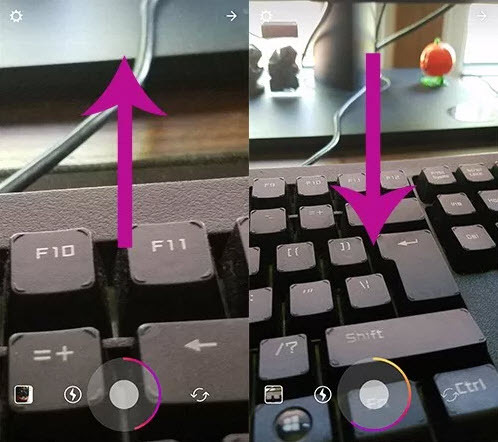 For recording an Insta Story video in zoom in/out mode, press the record button and slide the same finger up/down to zoom in/out. Note:Make sure to hold your finger on the record button while zooming in/out, else the recording will stop. We know a video in 'Rewind' mode is pretty cute and funny, as the chain of events occurs in the reverse order. So, to zoom in/out while shooting one such video in 'Rewind' mode, you need to press the record button and then swipe up/down your finger, just like in the 'Normal' mode. Here also, if you remove your finger, the recording will stop. Master how to zoom in Instagram Stories, while recording in 'Rewind' mode. Shooting a video in 'Boomerang' is exciting while creating Instagram Stories. We will explain you how to zoom in/out Instagram Stories in 'Superzoom' mode in Boomerang. 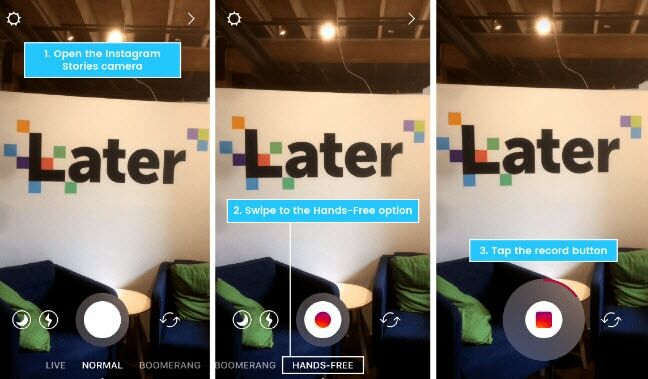 Press your record button longer and slide your finger up/down to zoom in/out, while recording the video for your Insta Stories. As long as you hold the button, the recording continues until it reaches the maximum duration. There are two-options while you want to zoom in/out using the 'Hands-Free' mode. You can pinch the screen and zoom in or out prior to recording the video. Now, tap the record button, the video will be automatically recorded after a few seconds. Remember! You are using the 'Hands-Free' mode, so no holding the record button. The second method is similar to the previous methods of zooming in/out videos for Instagram Stories. Tap the record button and wait till the point where you want to zoom in/out. At that very point, hold the record button and slide your finger up/down to zoom in/out the video. This is how to zoom in/out Instagram Stories using 'Hands-Free' mode. 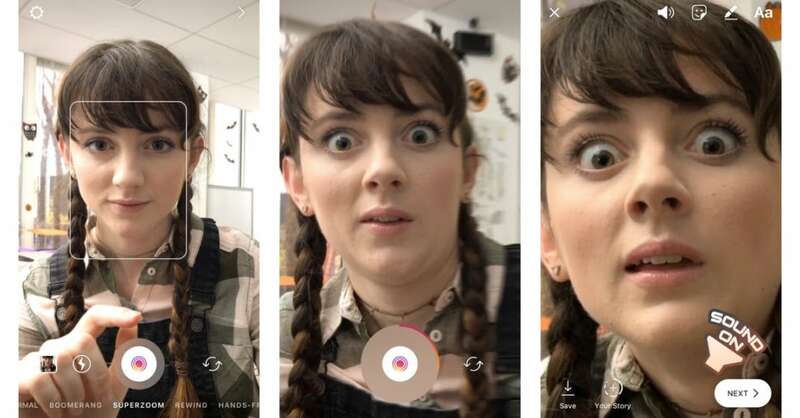 Be it a 'Boomerang', 'Rewind', 'Hands-Free' or 'Normal' mode video, learning how to zoom in Instagram Stories is sure to make your stories cool and funky. We know that you have got a fair idea about using the various Instagram filters to create the most happening Instagram Stories and put your friends in awe. We are sure that the above mentioned methods have made you learn capturing videos in zoom in a quick and easy way. But, it's up to you to decide the best speed while capturing and customizing the video content to make it stand out. Understanding not only how to zoom in Instagram Stories, but also knowing how to edit it with the right background music will make them more appealing. You need to be little careful while shooting videos in zoom as the video resolution gets affected and turns shaky. Never mind, beyond all the little restraints, Instgram Stories are the coolest stuff to experiment with, while you curate interesting videos.